Love or hate 'em, you've got to admit that cupcakes really had their moment. 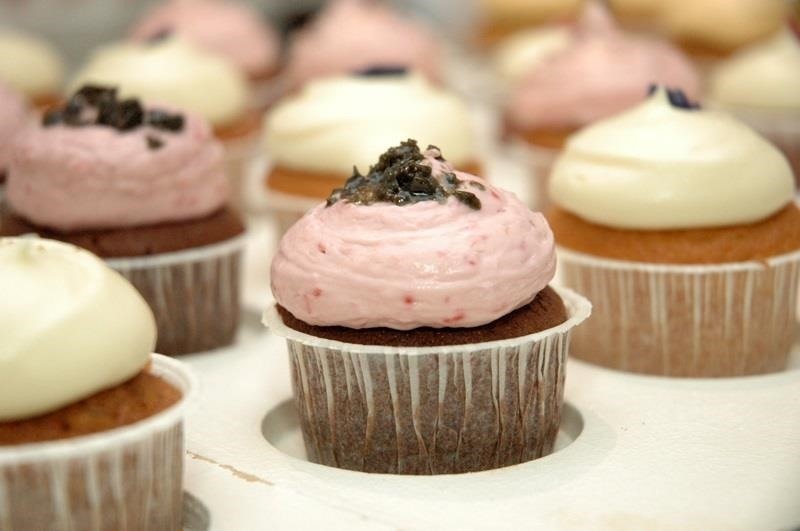 They started rising in popularity back in 2003 with the opening of Crumbs Bake Shop in Manhattan, and quickly became one of the most annoyingly ubiquitous food trends to date. Seriously. Type "cupcake" into Google. 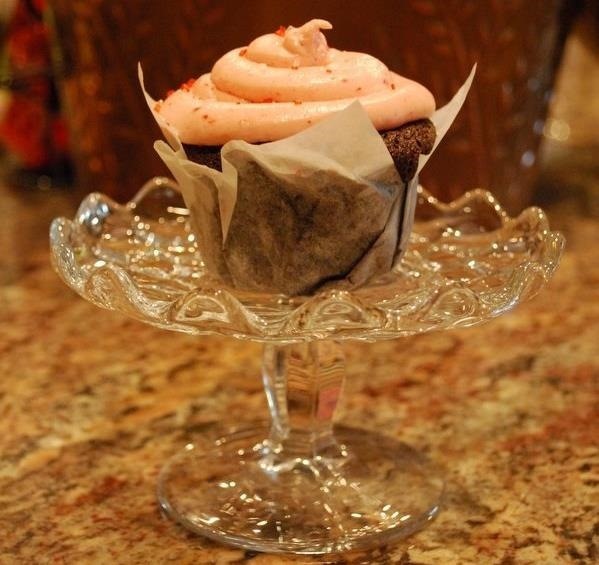 While I wouldn't turn it down if you put one in front of me (red velvet, please), I can't say that I was particularly disappointed to hear that the cupcake trend is coming to an end. I'm more of a cheesecake kind of girl. But I and millions of other people will still bake them at home from time to time, so I won't be throwing out my cupcake pan anytime soon. If you don't have the right kind of pan, there are a few tricks you can use to get around it. They won't always turn out as pretty, but a lopsided cupcake is better than no cupcake. 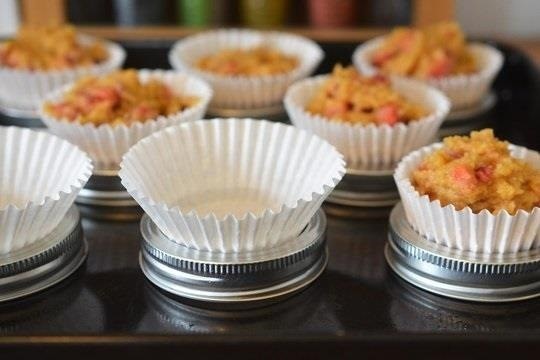 If you've got a bunch of mason jars, you can use the rings to hold the cupcake liners in place while they're baking. Just arrange them on a regular baking sheet, stick a liner in each one, then pour in the batter and bake as usual. 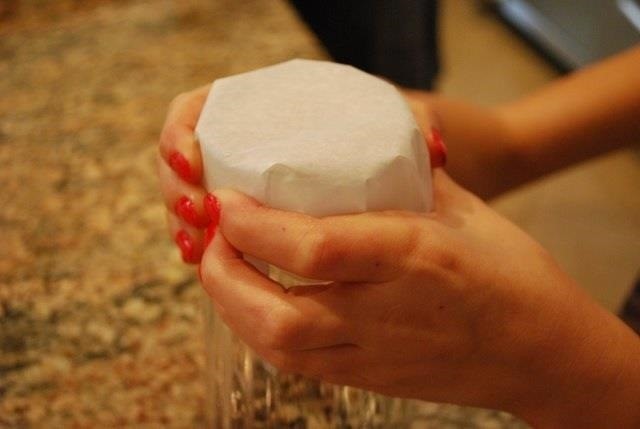 If you don't have any mason jar rings, you can just put the liners on a baking sheet by themselves. The foil ones are especially good for this, but you can also double up the paper ones and use them instead. There is an ongoing heated debate over whether or not that's what the foil ones are made for, anyway. Don't have any liners, either? It's pretty easy to make your own, and you make them sturdier than the ones you buy depending on what type of paper you use. Parchment paper works well because it's non-stick. The simplest method is to mold them around a glass. Cut your paper into 5" by 5" squares, then wrap each one around the bottom of the glass. 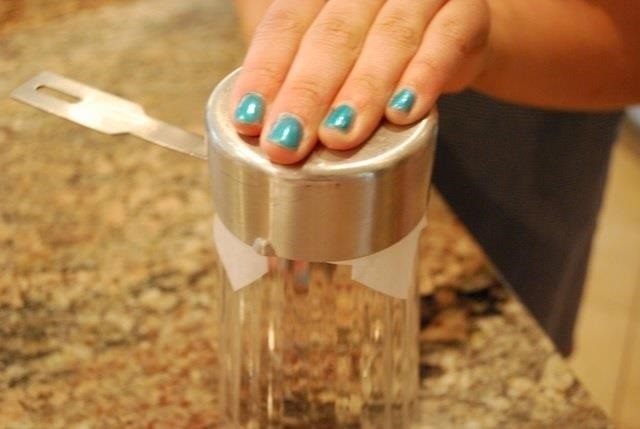 You can use a measuring cup to press it down to make the bottom perfectly flat. If you want to make the liners stronger, you could make them two-layered with a thicker layer outside and parchment paper inside. That way, they'll stand up on their own and still have a non-stick layer. 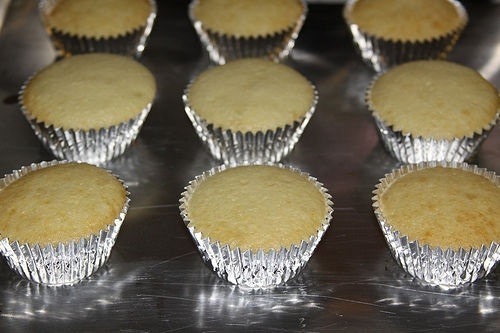 Have any other clever tricks for baking cupcakes without the pan? Let us know in the comments below.